We were promissed snow this week, but unfortunately, all I've seen is a lot of rain and wind. 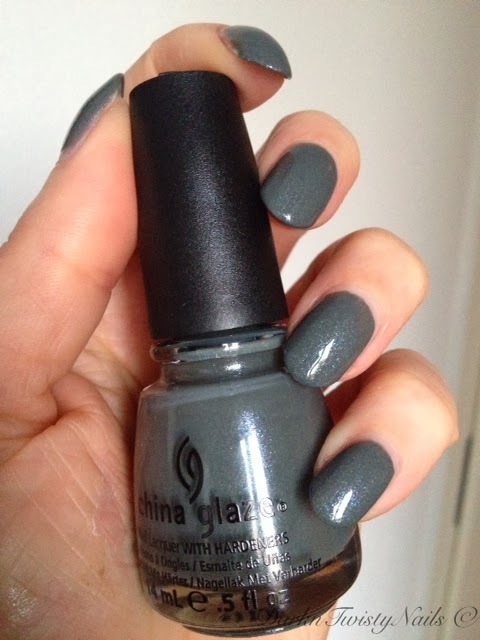 It's just so grey and gloomy outside, I really felt like having a polish on my nails to match, so I gazed at all my polishes and picked one that looked like storm in a bottle, but in the best possible way. 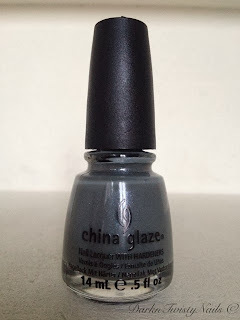 China Glaze Immortal is a midtoned grey polish with a ton of shimmer. It looks like silver shimmer at first glance, but when you look closer, you see it's not silver at all, but a gorgeous blue and purple. The formula is nice, a bit on the sheer side, but I was able to get it opaque in 2 coats. It's easy to paint on the nail and it dries fast enough. This polish was part of the Halloween 2012 Wicked collection and has sadly been discontinued, but I only picked it up recently, so it's still available on eBay. I absolutely love this polish! 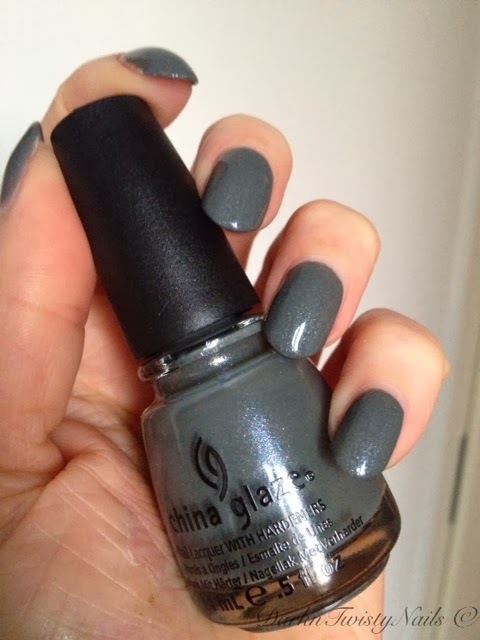 I love a nice grey polish, but the shimmer makes it simply stunning and a totally unique polish in my stash. Normally you only see shimmer like this when you're in direct sunlight, but with this polish it's definitely noticable all the time. I would absolutely recommend picking this up if you have the chance. Do you have a seemingly simple polish that turns out to be stunning and totally unique in your collection? Great grey, kind of looks like Essie's Cashmere Bathrobe. It does, but only a little. The shimmer is quite different and Cashmere Bathrobe is darker. Both are pretty, but I think I prefer this one, as the shimmer is more noticable.